Northport Village on a busy Summer Evening. Photo by Eileen Novack. If you are looking for a secluded small-town atmosphere for your day trip destination, look no further than the Village of Northport. Northport is a charming walk-around town on the North Shore of Suffolk County that borders a deep-water harbor where you can moor your boat and take in all of the sights and sounds of the village. 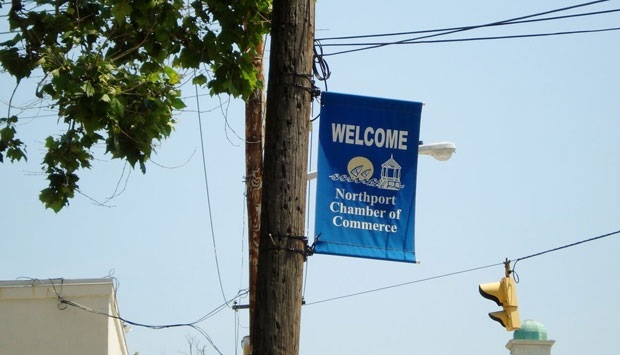 Like many towns on the North and South Shores, Northport has a rich maritime history and was known as a shipbuilding town, which was also how the village got its name. In the 1870s, Northport was known as one of the most prosperous villages in Suffolk County, as business flourished among the three shipyards, five marine railways, two hotels, and six general stores. Most vestiges to the Northport of yesterday are gone, though you can take in the 19th century architecture and peer over the tracks from the old trolley system. Modern-day Northport is a haven to many small businesses for shoppers and diners looking for a homier, personalized experience. From the cozy cafes to kitschy diners, this town has the perfect attractions for foodies, and has lots to do year-round as well. During the summer, anyone can go groove to Summerfest Concerts at the bandstand at the heart of the harbor front park. Fall brings about Northport’s own special holiday: Cow Harbor Day, which always follows the popular Cow Harbor 10K on the third Sunday in September. Wintertime also brings plenty of attractions to town, like the Holiday House Tours and Winterfest. 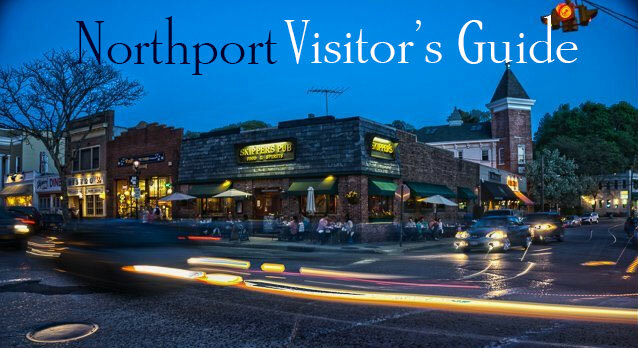 At any time of year, there is something to experience in Northport, so take the drive over and enjoy this pedestrian-friendly town! Northport is a great town for kids - it is not too busy, it has shops that appeal to children of all ages, and best of all, the village has a waterfront park where kids can while away the afternoon. Pack a frisbee and beach blanket, and make sure to bring water shoes for the little ones if you visit in the summer, as the beaches here are rocky. This isn't your average toy store - at Einstein's Attic, you can find all kinds of specialty toys and gifts for any occasion. The shop also hosts birthday parties, and takes part in fundraising events for local groups. Crafty kids can express their creative sides by learning sewing and designing anything from tote bags to floral dresses. Let the kids explore the playground and witness some spectacular sunsets at this waterfront park! Take a seat on the benches, shaded beneath the trees or wander out to the gazebo at the end of the dock. Make sure to keep an eye out for summer concerts, they take place in the bandshell at the park. Day or night, there is something happening in the Village of Northport. Nighttime is typically the most bustling, as Northport has a thriving arts community with numerous plays, musicals, and concerts going on all over town. For a special treat, be sure to look at the Summerfest concert listings and enjoy a free show at Northport Village Park! 57 Main Street, Northport, NY 11768 Catch a matinee performance or take classes at this acting school that has something to offer for beginning actors and even veterans of the stage. Enjoy world-class theater at an affordable price withshows by the Minstrel Players, which change seasonally. Acting classes are also offered. also offers tours of the town and special programs like historical cooking nights. This small village brings the best of international cuisine to the North Shore, with everything from traditional American fare to sushi and sashimi. Check out Pumpernickel's for German dishes, and Copenhagen Bakery for delicious Danish baked goods. Be sure to come with an appetite! This quaint cafe features live entertainment on particular nights and a wide selection of specialty drink. Sit back, relax and enjoy a hot beverage while local artists play smooth music. If you get hungry, breafast and lunch is served everyday. The Cafe features a delightful menu full of delicious meal options. If you have a sweet tooth, don't forget to stop in on weekends to taste their famous waffles. If you’re a fan of Japanese food, this is your place for the best sushi and sashimi in town. This upscale dining experience attracts foodies from all over for eclectic New American cuisine. If you’re in town to catch a show, the bistro also offers pre-theater dinners to make sure you get to your show on time! Pumpernickel’s is known as one of Long Island’s top German cuisine restaurants, so be sure to order the sauerbraten, goulash, or schnitzel. This unique diner is set in an old railcar, and keeps everything classic and casual with typical diner fare. Be sure to try the homemade cheese blintzes! Skipper’s specializes in seafood for lunch and dinner, and also has one of the best happy hour deals in town. No trip is complete without ice cream, and Northport has it all. Traditional homemade ice cream can easily be found in the village's retro sweet shops and ice cream parlors. If you want to try something different, you don't have to go too far to try frozen custard at Wolfie's Gourmet Frozen Custard, or ices at Incredible Ices. Keep cool at any of these sweet dessert spots! Eating at the Northport Sweet Shop has been a well-loved town tradition in the nearly one hundred years since the shop was founded. Though they are known for candy, and homemade ice cream sodas, shakes, and malts, they also serve up breakfast and lunch. This old-fashioned ice cream parlor serves up tons of homemade ice cream in a wide variety of flavors. They also have a great selection of gelato and frozen yogurt. Enjoy a whole new dessert experience with frozen custard, which is creamier, smoother, and richer than ice cream or frozen yogurt. If ice cream isn’t your thing or you have dietary restrictions, grab an ice one of numerous flavors at this summertime hot spot. Baked goods make everything better, but these Danish specialties are divine, and the waterfront view makes for quite a romantic spot. This walk-around town has a great variety of shopping opportunities, ranging from exotic imports from India to artisanal creations from local artists. If it is holiday season, time to shop for birthdays, or you're just out for a day trip, be sure to cruise Northport’s chic boutiques and gift shops for the perfect gift for that special someone…even if that special someone is you! This high-end boutique sells fine gifts from all around the world, as well as designer fashions like Vera Bradley. Let your creativity flow at this unique artisanal shop that offers paintings, prints, notecards, and bath and body products, all made by the store’s owners and resident artists, Warren and Alex Slater. The owners of this exotic clothing and home decor store travel every year to Northern India to handpick the items from artisanal shops to share with Northport. If you are looking to furnish your home with fine art or other elegant additions, look no further than LaMantia Gallery, which offers some of the most breathtaking pieces of art from around the world. The Village of Northport is easily accessible via the Long Island Expressway by taking Exit 51 to Deer Park Avenue and Elwood Road towards Main Street, or by taking the Northern State Parkway to Exit 42N, then to Deer Park Avenue and Elwood Road to Main Street. The Long Island Rail Road also stops at Northport, though the station is about two miles from the village. If you're looking for fun things to do in other great places on Long Island, check out our other Guides for Sag Harbor, The Hamptons, Ocean Beach, Fire Island, Freeport, Montauk, Greenport, Port Jefferson and North Fork!